Editor’s Note: This is the first part of the second contribution to my new series Nephite History in Context: Artifacts, Inscriptions, and Texts Relevant to the Book of Mormon. Check out the really cool (and official, citable) PDF version here. To learn more about this series, read the introduction here. To find other posts in the series, see here. This passage is generally believed to be part of either the introduction or the conclusion of the extant text.18 In it, Jeremiah travels to a river with the captives “from the land of Jerusalem” (ירושלים מארץ) in the wake of the Babylonian invasion ca. 587–586 bc, counseling them along the way on how they should live while in captivity. The designation of the captives’ homeland as the “land of Jerusalem,” which may actually occur twice in this Jeremiah apocryphon (cf. 4Q389 frg. i),19 is distinct from biblical references to Jerusalem and Judah. The phrase is not used anywhere in biblical texts, although fourteenth century BC tablets written in Akkadian use variations of an equivalent phrase (see NHC 2b), indicating the great antiquity of this term for the region around Jerusalem. The setting of 1 Nephi is very similar to that of the Apocryphon of Jeremiah. Not only are the events in 1 Nephi contemporary to Jeremiah’s ministry (1 Nephi 7:14), but the story is about Jerusalem natives who departed from the land in the wake of a Babylonian invasion about a decade earlier (ca. 598–597 bc), in which the temple was ransacked and captives were taken (see 1 Nephi 1–2; cf. 2 Kings 24:9–17; 2 Chronicles 36:9–10; Jeremiah 37:1), and Judah was likely reduced to essentially a city-state centered in Jerusalem, the once “great city” (cf. 1 Nephi 1:4; 2:13; 10:3; 11:13).22 Then, like the captives in the Jeremiah apocryphon, Nephi and his family travel through the wilderness until reaching a river where they were given further instructions and commandments through a prophet (Lehi), and received covenant promises from the Lord (see 1 Nephi 2–7). However, Nephi learned through prophetic means that in several hundred years his people would ultimately be destroyed for turning away from the Lord (1 Nephi 12:13–19). *The phrase continued to be used by later writers in reference to their ancestral homeland. See Jacob 2:25, 31–32; Omni 1:6; Mosiah 1:11; 2:4; 7:20; 10:12; Alma 3:11; 9:22; 10:3; 22:9; 36:29; Helaman 5:6; 7:7; 8:21; 16:19; 3 Nephi 5:20; 16:1; 20:29; Mormon 3:18–19; Ether 13:7. Alma 24:1 uses in the phrase in reference to a new land called Jerusalem by later Lamanites. 1. 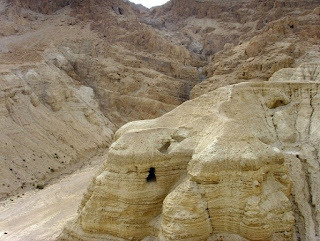 For background on the Dead Sea Scrolls, see James VanderKam and Peter Flint, The Meaning of the Dead Sea Scrolls: Their Significance for Understanding the Bible, Judaism, Jesus, and Christianity (San Francisco, CA: HarperSanFrancisco, 2002). See also Eugene Ulrich, “Dead Seas Scrolls,” in Eerdmans Dictionary of the Bible, ed. David Noel Freedman (Grand Rapids, MI: Wm. B. Eerdmans, 2000), 326–329; Joseph A. Fitzmyer, “The Dead Sea Scrolls,” in HarperCollims Bible Dictionary, rev. and updated, ed. Mark Allan Powell (New York, NY: HarperOne, 2011), 183–188. 2. Geza Vermes, trans., The Complete Dead Sea Scrolls in English, rev. ed. (New York, NY: Penguin Books, 2004), 602. 3. See VanderKam and Flint, Meaning of the Dead Sea Scrolls, 231. 4. See Michael Wise, Martin Abegg Jr., and Edward Cook, trans., The Dead Sea Scrolls: A New Translation (New York, NY: HarperOne, 2005), 439–446. Out of all the translations I’ve consulted, this one’s arrangement of the fragments produces the most readable narrative. 5. In the early publications of this fragment, which predated the “official” publication in the Discoveries in the Judaean Desert series, it was referred to as “fragment 1” of “Pseudo-Jeremiah” from scroll 4Q385 (or 4Q385b). See Robert Eisenman and Michael Wise, trans., The Dead Sea Scrolls Uncovered: The First Complete Translation and Interpretation of 50 Key Documents withheld for over 35 Years (New York, NY: Penguin Books, 1992), 57–58; Florentino García Martínez, trans. 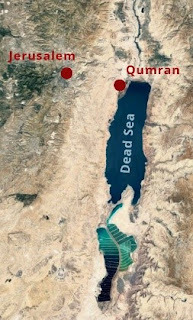 The Dead Sea Scrolls Translated: The Qumran Texts in English, 2nd ed. (New York, NY and Grand Rapids, MI: Brill and Wm. B. Eerdmans, 1996), 285. Later it was classified as 4Q385b frg. 16 col. i, as seen in Florentino García Martínez and Eibert J. C. Tigchelaar, trans., The Dead Sea Scrolls: Study Edition, 2 vols. (New York, NY: Brill, 1999), 2:772–773. It’s now referred to as 4Q385a frg. 18 col. i or 4Q385a frg. 18a–b col. i, as seen in Vermes, Complete Dead Sea Scrolls, 602; Wise, et al., New Translation, 446; Donald W. Parry and Emanuel Tov, The Dead Sea Scrolls Reader, 6 vols., 2nd ed. (Boston, MA: Brill, 2013), 2:802–803; and Davis, Cave 4 Apocryphon of Jeremiah, 132. 6. All brackets and ellipses are in the original. I have omitted representation of the blank first line, and the lacuna at the beginning of the text. 9. Vermes, Complete Dead Sea Scrolls, 602 restores “[to … Nebuchnezzar]” (who was the king of Babylon at the time) here instead of “[to Riblah, to,]” while Eisenman and Wise, Uncovered, 58; Martínez, Qumran Texts, 285; Martínez and Tigchelaar, Study Edition, 2:773 just leave this space blank. Wise, et al., New Translation, 446 and Dimant, in Parry and Tov, Reader, 2:803 are both consistent with Davis. 12. Dimant, in Parry and Tov, Reader, 2:803 and Wise, et al., New Translation, 446 restore “the nobles” here. Consistent with Davis, Vermes, Complete Dead Sea Scrolls, 602; Martínez and Tigchelaar, Study Edition, 2:773; Eisenman and Wise, Uncovered, 58; Martínez, Qumran Texts, 285 all leave this lacuna blank. 13. Martínez and Tigchelaar, Study Edition, 2:773 and Eisenman and Wise, Uncovered, 58 leave the lacuna before “the river” blank, while Martínez, Qumran Texts, 285 is even missing “the river.” Vermes, Complete Dead Sea Scrolls, 602; Wise, et al., New Translation, 446; and Dimant, in Parry and Tov, Reader, 2:803 are all consistent with Davis. 16. Wise, et al., New Translation, 446 and Dimant, in Parry and Tov, Reader, 2:803 simply have “commanded him [to do],” making Jeremiah, and not the people, the subject of the instructions or commands from God. Martínez and Tigchelaar, Study Edition, 2:773; Eisenman and Wise, Uncovered, 58; Vermes, Complete Dead Sea Scrolls, 602; Martínez, Qumran Texts, 285 all leave the lacuna blank, which also effectively makes Jeremiah the subject of the command. 18. Vermes, Complete Dead Sea Scrolls, 602 positions it at the beginning; Wise, et al., New Translation, 446 position it toward the end. 19. See Davis, Cave 4 Apocryphon of Jeremiah, 142–143: “in the land of J[erusalem]” ([י[רושלים בארץ). Wise, et al., New Translation, 441 and Dimant, in Parry and Tov, Reader, 2:814–815 restore it as “in the land of J[udah]” or “in the land of J[udaea]” ([הודה]י בארץ), but as Davis points out, “Judah” is never used in the extent text to refer to the land. Thus, he reasons that in light of 4Q385a frg. 18a–b col. i and the overall portrayal of the Jewish homeland in the text, “land of Jerusalem” makes better sense here. 20. Davis, Cave 4 Apocryphon of Jeremiah, 143. 21. Eisenman and Wise, Uncovered, 58. 22. See Neal Rappleye, “Jerusalem Chronicle (ABC 5/BM 21946),” Nephite History in Context 1 (November 2017): 1–5. Interestingly, this source refers to Jerusalem as “the city of Judah,” perhaps indicating that Judah had been reduced to little more than the city itself. See also Daniel C. Peterson, Matthew Roper, and William J. Hamblin, “On Alma 7:10 and the Birthplace of Jesus Christ,” (FARMS Transcripts, 1995). "Check out the really cool (and official, citable) PDF version here." Presumably "here" should be a link to a pdf. It is not. Since this was just published maybe you're still working on the PDF? Yes, I hope to have the PDF version up soon. Sorry for the delay. Sorry, but in my opinion, the great majority of the Book of Mormon lands are within the current borders of the United States. 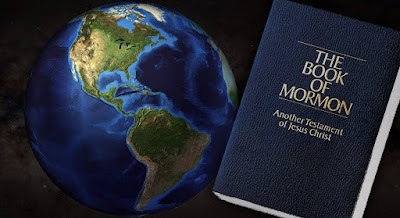 Yes, I believe that many of those people traveled south to current-day Mexico and Central America and further, but the Book of Mormon lands that we read about in the Book of Mormon are in the eastern part of the United States. My opinion. You, of course, are welcome to your opinion, but it's not clear to me at all what relevance that has to this post, which is about the Dead Sea Scrolls and the land of Jerusalem in 1 Nephi.